The average person puts about 11,500 miles a year on their car, but certain cars tend to rack up the miles more than others. A recent study by iSeeCars.com reveals the vehicles that drivers are really racking up the miles in every year. As you may have guessed, the list is filled with large SUVs and crossovers and one minivan. “While the average 10-year-old vehicle is driven 11,518 miles per year, these vehicles surpass the average annual mileage by 13.9 to 25.1 percent, with SUVs accounting for nine out of the top 10 models,” the study states. Of course, this isn’t all that surprising especially since many of these large cars overlap with a previous survey of vehicles that are most likely to go over 200,000 miles. 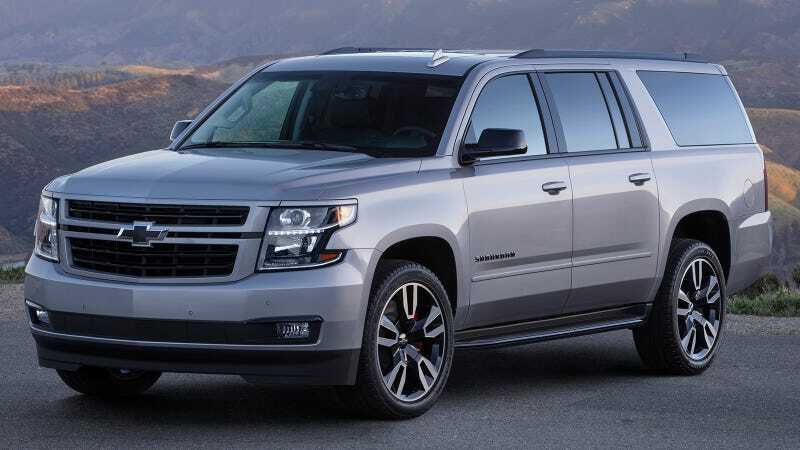 People tend to buy these larger SUVs as family haulers and some of them, like the Suburban and Escalade, are used as fleet or livery vehicles. The Honda Odyssey also makes the list, probably because it is so versatile, from family-hauling to hooning to camping. When it comes to sedans and other compacts you may be surprised to see the Nissan Altima at the top of the list, beating out the ever-popular Accord and Camry. However, Prius at the number two spot doesn’t seem all that odd either, as it makes for an incredibly fuel efficient and reliable commuter car. While vehicles like the Suburban and Altima are constantly on the road other cars tend to stay parked. iSeeCars.com also analyzed the vehicles that are driven the least. Anyone looking for the Corvette on this list will not disappointed since no one seems to drive these damn things. Though as you can see sports cars and convertibles, in general, don’t get a lot of seat time. These vehicles are often not primary vehicles for their owners but rather weekend toys. iSeeCars.com analyzed over 1.7 million used ten-year-old cars sold from 2014 to 2017. The average annual mileage of each model and body style was used to rank each vehicle. Models with fewer than 500 listings, full-size vans and heavy duty trucks, models with fewer than four model years represented in the dataset, and models not available as of the 2017 or 2018 model year were excluded from the analysis. The data were also aggregated at the body style level. Read more details and find out which trucks and minivans get the most usage at iseeCars.com.